Drinking Rubbing Alcohol: Is Isopropyl Alcohol Toxic? It is not uncommon to find a bottle of isopropyl alcohol in a first-aid kit or medicine cabinet. Many people keep it on hand to disinfect minor cuts or clean household surfaces. However, some individuals begin to drink rubbing alcohol with the hope of obtaining the same effects as consuming beer, wine, or liquor. Is it safe to drink this substance? Can one overdose on it? What are the side effects? Let’s find out more. What Is Rubbing Alcohol Made Of? What Are The Isopropyl Alcohol Hazards? Can One Overdose On Rubbing Alcohol? Isopropanol is a colorless flammable liquid that belongs to the same family of compounds as alcoholic drinks. It has a strong fruity odor and a mildly bitter taste. It is a volatile liquid, i.e., it evaporates if the container is left open. Isopropyl alcohol structure is C3H8O. Other rubbing alcohol ingredients include water, denaturants, and perfume oils. It is found in essential oils, body lotions, perfumes, medical swabs, paint thinners, antifreeze, and cleaning supplies. It is primarily used as a topical antiseptic because of its ability to kill harmful germs. Because it is a better solvent than water, it is very effective in removing accumulated grime. It is present in swabs, hand sanitizers, household disinfectants, and cleaning solutions. Isopropanol is also used in a number of industrial processes. Medical antiseptic solutions commonly contain 70 percent concentration because this is not harsh to the skin but is still an effective antiseptic. Higher percentages, for example, 99% isopropyl alcohol, are used in household cleaning and disinfecting solutions. Alcoholic beverages contain ethanol which is produced from yeast. Unlike isopropanol which is toxic when ingested, ethanol is suitable to drink. 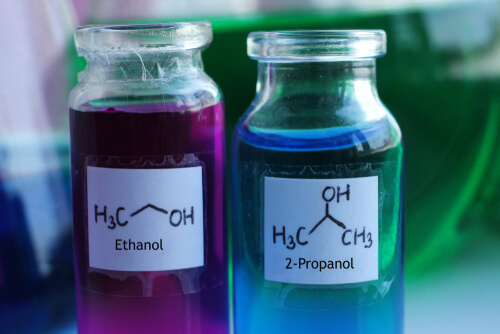 Although it is also a volatile, colorless liquid, the chemical formula of ethanol is different (C2H6O), and it has a less strong odor compared to isopropanol. Some people drink isopropanol to become intoxicated. However, this substance is not intended for human consumption, and its abuse can prove fatal. Just 500 mL (a little more than a pint) ingested over a 24-hour period is equivalent to drinking 30 beers. Can you get drunk off rubbing alcohol? Yes, this substance does cause intoxication. It can lead to poisoning and potential death and consuming it is extremely dangerous. Other methods of abuse include huffing and sniffing rubbing alcohol to inhale the vapors. However, isopropyl alcohol inhalation in large amounts can have a number of dangerous effects, including breathing difficulty and loss of consciousness. In addition to drinking and inhaling rubbing alcohol, spilling the substance on the skin can lead to accidental poisoning. Repeated or prolonged exposure can cause itching, redness, and skin corrosion. What happens if you drink isopropyl alcohol? In the human body, isopropanol is oxidized in the liver to form a toxic chemical called acetone. It has a half-life of 2.5 to 8 hours (the time is taken for half the substance to be removed from the body by biological processes). The peak concentration following ingestion occurs within 30 minutes. It is removed from the body mainly through the kidneys. The alcoholic beverages we drink are also metabolized by the liver but much more efficiently. They are broken down into acetaldehyde and acetate. One standard drink stays in the body for about 2 hours after ingestion. The effects become evident in 10 minutes, but peak concentration is reached in approximately one hour. Is isopropyl alcohol toxic? Yes, it is about twice as toxic as the ethanol in beverages that we drink (liquors). In fact, poisoning can occur within 30-60 minutes of ingestion with serious effects such as slowed breathing, slowed heart rate, low blood pressure, low blood sugar, hypothermia, bleeding from the gastrointestinal tract, gastritis, brain damage, and coma. A small bottle (about 8 ounces or 250 mL) of rubbing spirit ingested by mouth can prove lethal. Young people who are keen to experiment and recreational drug users seeking a rapid and intense high are likely to try isopropyl alcohol ingestion and are at risk of developing an addiction similar to alcoholism. Some people are confused and do not realize that one cannot drink certain types of alcohol. Sometimes depressed individuals who are well aware of the dangers of this substance will drink a large amount in an attempt to commit suicide. There is a tremendous risk of injury and death from isopropyl alcohol poisoning. Individuals who have consumed this substance require aggressive medical care and life support measures. That’s why it’s important to get help if abuse is suspected. 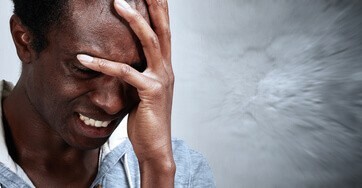 Professionals at a reputed rehabilitation facility can help addicts recover from alcohol abuse. Addiction Resource » Alcoholism: Everything You Need to Know About the Addiction » Resources for Alcoholism: Getting Help to Beat Addiction » Drinking Rubbing Alcohol: Is Isopropyl Alcohol Toxic?